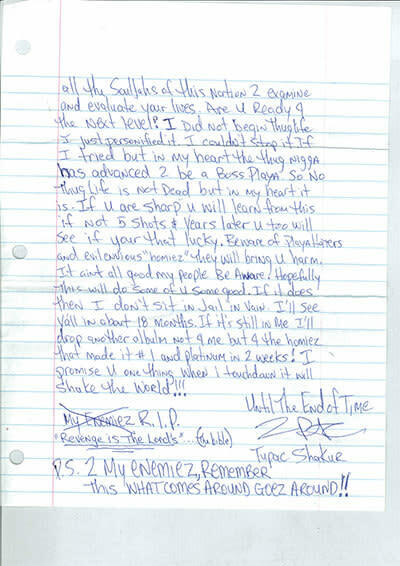 2015 is apparently the year of the Tupac Shakur handwritten letter, as a personally penned ‘Pac correspondence with a former Death Row employee has made its way onto the auction block. 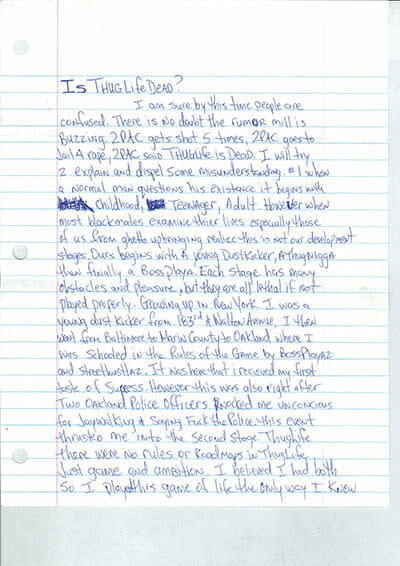 The letter was written by ‘Pac in 1995 when he was in jail on a sexual assault charge, and features the late rapper writing about his desire to leave the “Thug Life” lifestyle behind and helping his crew reach another level. 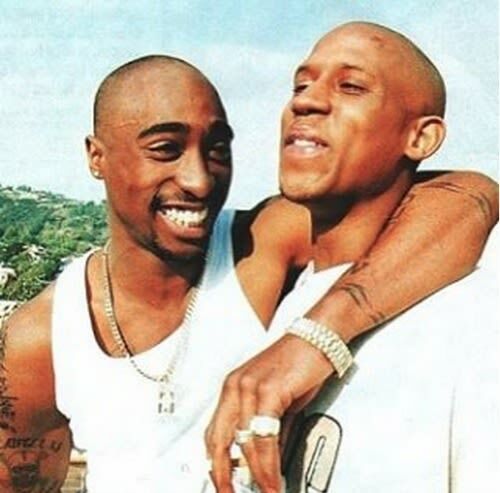 “[Many] never survive the next level of Thug Life…. They become addicted to death. A True Boss Playa knows when to advance…. 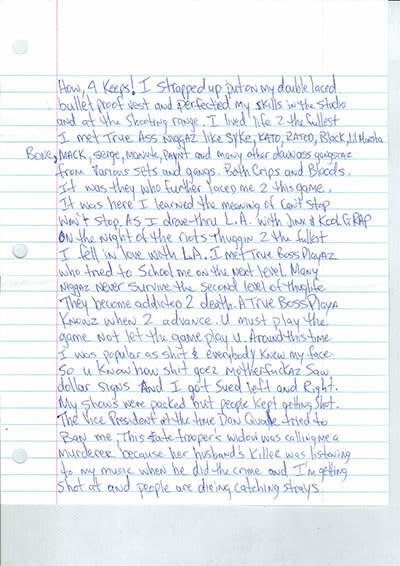 U must play the game, not let the game play u,” Pac wrote. 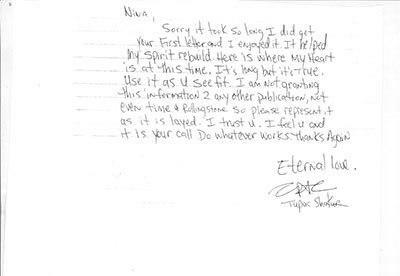 The letter was addressed to Nina Bhadreshwar​, who was not only a Death Row employee, but the editor of the Death Row Uncut magazine. 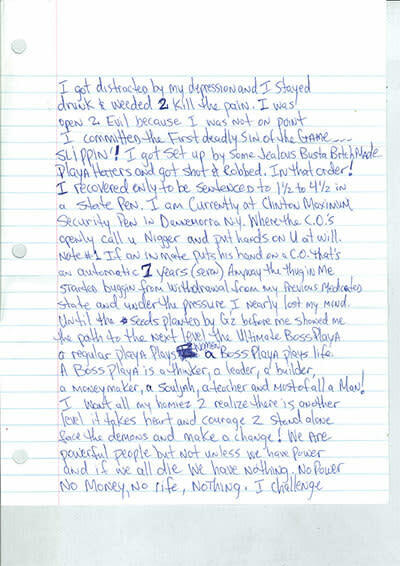 “He enclosed a five-page essay on his view of the rite of passage of a young black male in America. And that was the beginning of our real correspondence,” Bhadreshwar said of the letter. The piece is currently on sale for $225,000 through an auction site called Moments in Time. View the essay in full below.